Even Castro killed tens of thousands. 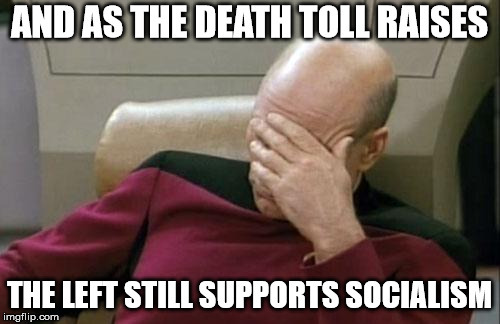 Socialists still love him though. Just the cost of progress, I suppose. Sad thing is, most people don't realize fascism is the most common form of socialism, differing from communism only in that fascism allows private ownership of means of production and communism doesn't. Quick correction, the Nazis weren't socialists despite having the word socialist in their party title. I'll make it simple for Americans to understand, the Washing Red Skins are not a team of native Americans, despite the title. Actually they were. Have you actually studied nazi policies? They provided free health care for german citizens, helped ensure that everyone was employed, had generous aid programs for the volk, planned to give every german a free car, gave out free radios, education, etc. Hell, Hitler was huge on ecological conservation in Germany. Being genocidal maniacs you don't want to be associated with doesn't change the fact that their platform was VERY socialist. The NAZIs were in classical socialists! Please don't repeat propaganda that they were "right wing". and not socialists! Please get informed. Do you really think they just randomly chose the name of their party? As an apologist for Mao, Stalin, and Hitler, you might want to rethink calling yourself conservative in any sense. An apologist? 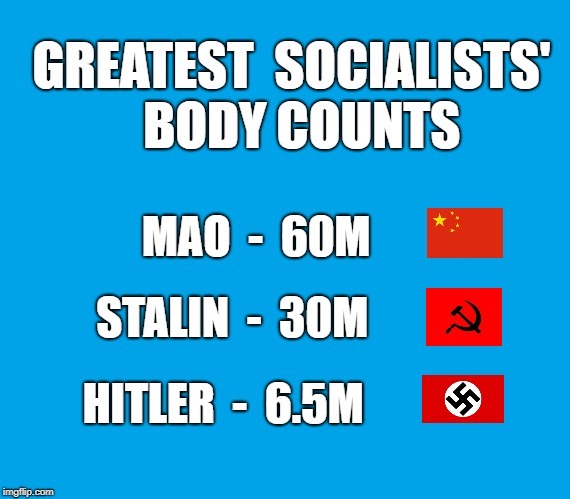 Three of the worst men of the last 1000 years, but then that doesn't mean that you are wrong in calling the NAZIS socialists. You might as well call Trump socialist as he's going to fight for the common man against the elite. lol. America schools really need some improvement and I don't mean kids getting shot in them. Nazis were socialist. Know your history. They started as the German Workers Party. Hitler got a job from the army to spy on their meetings in a pub house. Hitler was bought over their nationalistic and anti-Semitic ideas. He joined the party and convinced them to organize along the revolutionary ideas of socialism, but Hitler, following Mussolini's lead, felt that socialism would be best organized on nationalistic lines (fascism), not class lines (communism). Hitler and his followers always attacked capitalism and argued from a socialist perspective. “German cultural values, reverse the provisions of the Treaty of Versailles, turn back the perceived threat of a Communist uprising, put the German people back to work, and restore Germany to its 'rightful position' as a world power,"
Sounds like Trump, make Germany great again, make America great again. Trump is a socialist. Double lol!! You're making yourself look like a fool. And to be spouting off about how fantastic your school system is while doing it? You're making it look bad, too. Saying the NAZIs weren't socialist is as wrong as saying the Islamic State (ISIS) is not Islamic! NAZI stands for National Socialist German Workers' Party. They were classical socialists almost identical to the far left Democrat party today. They originated the idea using environmentalism as a political weapon, using education to indoctrinate kids, incited hatred for classes of people (Jews, Slavs, etc like conservatives, deplorable Trump supporters, white men, etc), strictly controlled businesses with laws and regulations, and on and on. Antifa is a strict NAZI brownshirt copycat. Well we agree on one thing: Trump is not a laissez faire capitalist. WOW! You are pulling an internet link from a defunct popular news magazine to back your argument. Pathetic. Have you ever read any real books on history or political science (even cheesy college introduction course texts)? You are making the classic mistake of not listening to an opposing argument, but are instead, making more talking points. Directly: The Nazis tried to eliminate the war reparations of the Treaty of Versailles by simply printing more money. The result was hyperinflation. To stabilize the economy they incited wage and price controls in 1936. Additionally, the extra quickly printed money was used to pay for public works programs, subsidies, and rearmament. Again, wage and price controls were set to carry out the government programs under the conditions the Nazis required. Next, rationing was instituted in an attempt regulate the distortions to the normal price system. Yes, individuals, with political connections, still owned factories, but what they produced, how much they produced, what price they sold it for, and what profit they made was determined by the National Socialist Germans Worker's Party government laws and regulations, the Nazi German government. Things only got worse during the war years. Nazis practiced direct government control of the economy -- socialism. If you want to argue that private companies still existed, I would counter that you are making a distinction without a difference. The government had full legal control of all major aspects to the businesses. Fascism (the model Hitler followed) was called "The Third Way" at the time. It was seen as anti-capitalistic, but avoiding the direct ownership and control of pure socialism/communism. President FDR originally admired fascistic economics until he saw the violent excesses, and turned to less obtrusive economic means. Nazis were as capitalist as Uber drivers. The drivers own their car. They are not employees. But they do not determine their rates. During the Wiemar Republic, both Communist and Nazis had violent episodes in the streets. One faction was socialism on class lines and the other nationalistic. The strongest democratic/capitalistic political figures of Hindenburg and Papen, did not get involved in the gutter violence of the two populous socialist parties. When Hitler was allowed formally into the German government in hopes of controlling his excesses, all was lost. er, even your first point was wrong, the Nazis didn't print money and cause hyperinflation that happened before they came to power and was one of the reasons for their electoral success. Did I study history? Yes I did. The Nazis continued the practice, and use socialistic methods in an attempt to control the negative consequences. 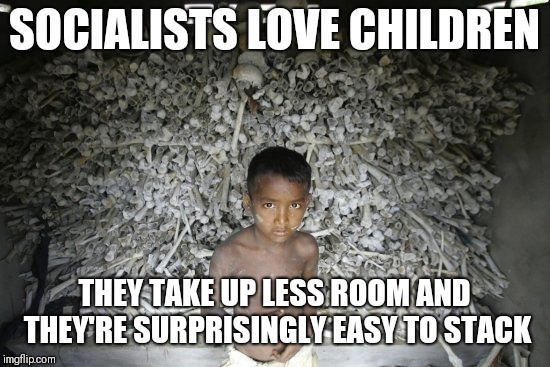 They used those methods because the were socialist. In 1920 the Nazi party announced their platform, which had 25 points compiled by Hitler and other party leaders. About half the tenets were collectivist/socialistic. They reject classical liberalism individualism both politically and economically. They practiced socialistic economic practices. They openly called themselves socialist from their beginning to their downfall.